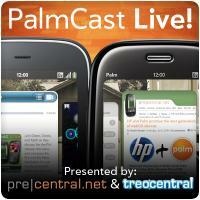 PalmCast Live has another guest tonight, none other than Geoff Gauchet, better known as Zhephree, better known as the developer of Foursquare for webOS. So join us, for real. Tweet questions to us with the #palmcast hashtag for the lightning round - @zhephree is excited to answer your questions about "foursquare and palm and webOS & stuff & junk!" The action happens right here, don't miss it.